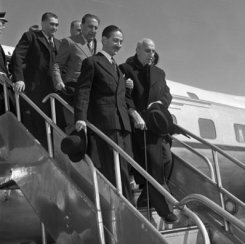 Mossadegh steps off a plane, in August 1953. In 1979 the political scientist Mark Gasiorowski was a young graduate student. He was transfixed by the revolution in Iran. And he was blown away by its anti-American flavor. Gasiorowski: "I was really drawn to this phenomenon and wondered why did the Iranians hate us so much. What is it that we've done that created this tremendous animosity?" Gasiorowski discovered that the 1953 coup was at the heart of Iranian attitudes toward America. He's been studying it ever since. The story has never been that well known in this country. Gasiorowski says at the time it happened, the coup was unprecedented in US foreign policy. Gasiorowski: "It was really a milestone. It was the first major covert operation by the CIA. It was regarded as a great success. And it was replicated repeatedly subsequently." To understand how the 1953 coup came about, you have to consider Iran's history. And picture the country on a map. The crucial Persian Gulf lies on its southern border. The former Soviet Union looms to the north. Iran has a strong Persian identity, and a majority Shia Muslim population. Its history has always distinguished it from the countries around it. New York Times reporter Stephen Kinzer discovered that when he first went to Iran. Kinzer: "You're in the middle of the Arab world but you're not in an Arab country. You're in the middle of the Sunni Islam world but you're not in a Sunni country. Iran has a history that stretches back thousands and thousands of years to great figures like Cyrus and Xerxes. This is a country that has a great sense of itself. It's a very proud country. It's not a country that was made up in the early 20th century like most of the other countries in the Middle East. " Countries like next door Iraq had their borders drawn up in secret deals between colonial powers during World War One. By contrast, Iran, or Persia, as it was known then, had been around for millennia. That said, Iran was no stranger to foreign meddling. All through the 19th century Britain and Russia vied for influence there. Britain was trying to keep the Russians away from its interests in India. Russia wanted access to the warm water ports of the Persian Gulf. Along the way, both countries exploited Iran's resources. And Iran's corrupt monarchs obliged them. Various Shahs sold off whole industries---tobacco, oil, caviar---in exchange for ready cash. During World War Two Britain and Russia became allies against Hitler. They feared Iran's Shah, was tilting toward the Nazis. So they invaded. They forced him to abdicate and put his son on the throne. The BBC's Richard Dimbleby witnessed the turnover. Dimbleby: "The last 24 hours have been busy and important in Tehran. We have seen the closing in on the city of British and Russian troops, the hasty departure of numbers of Germans, women and children included, and the first visit of the new Shah to Parliament. " American troops ended up in Iran too, as part of the war effort. It was the first significant contact between the two countries. Britain, Russia and the United States all promised to withdraw their troops after the war. But that's not what happened. The Soviet Army had occupied a portion of northern Iran. Now it refused to leave. Iran demanded it withdraw. In Jan 1946 Iran took its case to the newly formed United Nations Security Council, chaired at the time by an Australian diplomat. Makin: "This is the first occasion upon which the Security Council have been called upon to act under Chapter 6 of the Charter which is entitled The Pacific Settlement of Disputes." The United States backed Iran's protest against the Soviet Union. It was the first skirmish of the Cold War. US diplomat Averell Harriman remembered President Truman calling him into his office. Harriman: "He said this is so serious that it may lead to war. Truman was very much alive to the dangers. And Iran was the point of the danger." In the end Iranian diplomacy backed by American pressure persuaded the Soviets to pull back. But the crisis highlighted Iran's newfound strategic importance to the United States according to Mark Gasiorowski. Gasiorowski: "The most important issue there as the Cold War grew was to create a kind of a containment belt to prevent the Soviet Union from expanding its influence southward toward the Persian Gulf. So the United States in the second half of the 1940s was building up its relationship with Iran, building up its plans to defend Iran and to keep the Soviet Union out." Meanwhile another drama involving foreigners was unfolding inside Iran: the struggle for control of the nation's oil. Stephen Kinzer tells the story in his book All the Shah's Men. Kinzer: "All the oil that was produced in Iran was the property of one British oil company. And that oil company paid Iran only a very small amount for the oil that it took. It was inevitable that sooner or later Iranians would rebel against this. And that's what they did. By propelling Mohammed Mossadegh into the prime minister's office. Mossadegh's principal project as prime minister was to nationalize the oil company. And that's what he did. " The year was 1951. Mohammed Mossadegh captivated the world with his struggle for independence from the British. He was charismatic and forceful. He was also eccentric. He greeted visitors, even foreign dignitaries, while in bed. He had fainting spells in Parliament. He infuriated the British. But the Americans liked him according to Mark Gasiorowski. Gasiorowski: "He was almost an ideal political leader from the point of view of the United States. In 1951 of course you had the Truman Administration in power, their view was that we need to encourage peaceful moderate change in the world, particularly in the emerging third world, in order to prevent radical change, particularly to prevent communists from emerging." The British disagreed. Mossadegh's nationalist movement was a threat to them. They clung to the outdated idea that Iranian oil was theirs because they got there first. But they met their match in Mossadegh. British diplomat George Middleton was stunned by the intensity of the conflict. Middleton: "I cannot emphasize too strongly how emotive a situation it was and how really this was feelings rather than arguments which were ruling all the time." Instead of negotiating, the British tried to get Mossadegh to bend to their will. They stationed warships off the coast. They used covert tactics to undermine him. They drew up plans for an invasion. And they organized a crippling oil embargo against Iran. The Americans watched the growing chaos with concern. They had an eye on the Soviet Union. Their main priority in Iran was stability. Washington tried to get Britain and Iran to come to terms. American diplomat Averell Harriman was dispatched to Tehran. Harriman: "We had admitted, as a nation, the right of a country to nationalize foreign-held properties providing they were paid for promptly and adequately. The British finally accepted the right of the Iranians to nationalize but then it was rather too late." By then Mossadegh and his followers were beyond dealmaking. In the end, the British set out to overthrow him. In October 1952 Mossadegh discovered their plot. He ordered the British Embassy shut and its diplomats expelled. A few weeks later the British asked the Americans to help them with a coup. The request came just after Dwight Eisenhower had been elected but before he took office. The outgoing Truman Administration opposed the idea of a coup. But Eisenhower did not, according to Mark Gasiorowski. Gasiorowski: "Key Eisenhower officials began to talk about carrying out a coup even before Eisenhower was inaugurated. The key figures there were John Foster Dulles, the secretary of state, and his brother Allen Dulles, the head of the CIA. They clearly came into office in January 1953 with the idea that they would carry out a coup." They chose CIA agent Kermit Roosevelt to run the operation. He was the grandson of President Theodore Roosevelt, and the head of covert operations in the Middle East. Stephen Kinzer says he was a perfect fit. Kinzer: "He slipped clandestinely across the border and in a period of just three weeks, really through his own wits, Kermit Roosevelt organized the overthrow of the government of Iran. He was truly a real life James Bond." Roosevelt started by tapping into the intelligence networks the British and Americans had built up inside Iran. A few key Iranians proved willing to do his bidding. They unleashed a ferocious propaganda campaign against Mossadegh. They bribed newspapers to print slander; they paid clerics to denounce him at Friday prayers. They hired thugs to organize mobs and riots. Meanwhile, Kermit Roosevelt had to persuade Iran's young Shah, Mohammed Reza Pahlavi, to participate in the coup. Roosevelt told the story in an interview in 1980. Roosevelt: "It was difficult to set up because the Shah was extremely suspicious I guess is the right word about what British and American intentions toward him really were." This was the same Shah who was thrust onto the throne during World War Two. His father had ruled Iran with a strong hand and kept parliament under his control. But the younger Shah started out weak. And Mossadegh's movement to nationalize the oil industry had put the Shah on the defensive. Now the British and the Americans wanted Mossadegh out and the monarchy back in control. 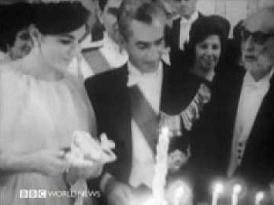 They needed the Shah to sign a royal decree dismissing Mossadegh. But the Shah hesitated. He wanted to make sure the whole thing wasn't a trick. Kermit Roosevelt arranged for high level emissaries to make the case. But in the end Roosevelt had to persuade the Shah himself. He made a secret midnight visit to the place. It worked. Roosevelt: "He recognized me. And he figured that you know a Roosevelt wasn't going to come to lie to him." In the end the coup came down to four dramatic days in August 1953. The head of the Shah's imperial guard was supposed to go to Mossadegh's house, present him with the royal decree dismissing him, and then arrest him. But when the Colonel arrived at Mossadegh's house he found himself surrounded by troops loyal to Mossadegh. The prime minister had HIM arrested instead of the other way around. Mark Gasiorowski says things didn't look good for the American plotters. Gasiorowski: "And indeed when the CIA station in Tehran sent a cable to Washington telling them what happened they soon got a cable back from Washington saying stop the coup attempt and evacuate Roosevelt and other key people. This has failed." The Shah fled the country. But Kermit Roosevelt refused to give up. Roosevelt: "You know you had a job to do. Our studies convinced us that if you could bring about a clear cut unmistakeable confrontation between the Shah on one side and Mossadegh on the other the army and the people would throng to the support of the Shah. And that did turn out to be correct." So Roosevelt set about stage-managing that confrontation. He had copies of the decree dismissing the prime minister plastered around town. And he went back to the Iranians he was working with and had them organize fresh mobs says Stephen Kinzer. Kinzer: "He would have them surge through the streets of Tehran, break windows, beat up people, shoot their guns into mosques and shout "we love Mossadegh. Up with Mossadegh and communism. And as if that wasn't enough he then hired another mob to attack this mob to show that Tehran was in such chaos that anarchy was threatening and that just to bring Iran back to a measure of stability, Mossadegh had to be overthrown." The strategy worked. The demonstrations escalated. Clashes broke out between opposing military factions. On August 19, 1953, anti-Mossadegh forces seized power and Mossadegh went into hiding. An army general was installed as prime minister. The Shah made a triumphant return home. Mark Gasiorowski says the US action changed the course of Iranian history. Gasiorowski: "The coup succeeded and began a series of events that over the next couple of years transformed Iran from a sort of a populist political system moving in the direction of democracy to a very strong dictatorship." The coup was celebrated in Washington. But in Iran it sowed a resentment and distrust of US power that still exists. Just ask Mostafa Zahrani, the director of the government-affiliated Institute for Political and International Studies in Tehran. Zahrani: "At that time we had a parliament and an elected prime minister so what happened is that the US killed democracy in Iran 50 years ago." That's the lesson a whole generation of Iranians took away from the coup. It would come back to haunt the United States 25 years later, during the climax of the Islamic Revolution. After the 1953 coup, the United States lost no time in shoring up the Shah's regime. Washington poured money into Iran for economic recovery. It began providing military aid. The United States took one other fateful step: it sent CIA experts to Iran to train a new intelligence agency. That agency grew into the Shah's notorious secret police force, SAVAK. Nasser Hadian, a political scientist at Tehran University, grew up in the shadow of SAVAK. Hadian: "The presence of SAVAK as a very fearful force was almost everywhere and everyone believed that OK any dissent, any opposition, legal or otherwise would not be tolerated by SAVAK and the people would be arrested and would be tortured. That was the general perception." Iranians knew the United States lay behind the Shah's new grip on power. And the Shah knew the image of him as America's puppet made him vulnerable. So he set out to reform and strengthen Iran, and to reduce his dependence on the United States. 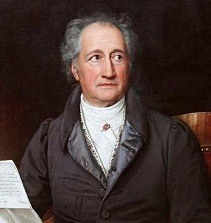 He had considerable success according to Iranian historian Shaul Bakhash. Bakhash: "The Shah you know managed Iran's foreign policy extremely well. And certainly between 1963 and 73 Iran enjoyed a decade of impressive economic growth. But the Shah grew increasingly autocratic. He certainly grew increasingly out of touch with public opinion. And I think he determined that he knew what was best for the country and there was no reason to listen to anybody else. " The United States kept a close watch on Iran through the 1950s and early 60s. But eventually Washington began to turn its attention to other, more pressing problems. Especially Vietnam. But the United States still needed an ally in the Persian Gulf. In 1972 President Nixon visited the Shah to ask a favor. He wanted the Shah to guarantee US security interests in the region. In return, Washington would allow Iran to buy any weapon system it wanted. The Shah agreed. The job of overseeing those arms sales fell to a young foreign service officer in Tehran named Henry Precht. Precht: "They promised the Shah that he could buy whatever he wanted and no one would quibble with him. Everything up to but not including nuclear weapons. So that was my marching orders, facilitate, don't get in the way of this process." Then came the 1973 Arab Israeli war. Oil prices rose dramatically. Suddenly the Shah was flush with oil money. He bought massive quantities of the most high-tech weaponry money could buy. US officials were unsettled by the consequences of their bargain. But Washington had no alternative plan for policing the oil-rich Persian Gulf. It became taboo to question the arrangement according to Gary Sick, a member of the National Security Council staff under President Carter. Sick: "People in the bureaucracy learned very quickly that anybody who was raising questions about our relationship with the Shah was not really welcome and so people if they didn't like this policy they would find themselves working somewhere else." Sick: "In the past we'd had a tremendous capacity to read Iran's domestic politics. We basically gave that up so that we were no longer looking at Iran's internal problems. This had huge implications which affected everything that we did from that point on." What US officials missed as a result of that intelligence gap was an enormous groundswell of resentment against the Shah and the United States. Part of the reason the Americans failed to notice the popular uprising was that it sprang from the mosques. Shaul Bakhash says that by the late 1970s, that was the only place left in Iran to organize dissent. Bakhash: "Political parties didn't exist, the press was cowed, parliament had become a rubber stamp, there were no civic associations, the government even interfered in the election of presidents and officers of thechamber of commerce for example. So really the only places left for the articulation of political grievances were the mosques." Hadian: "Everybody was looking for a change which seems to us very authentic, very much belonging to ourselves. Islam and Islamic ideology provided that authenticity for us. All the personalities, all the mythologies, the language, the discourse they were very much familiar even for the ordinary Iranian." Ayatollah Ruhollah Khomeini was key to this religious opposition. In the early 1960s he protested the Shah's policies, and the Shah's strong ties to the United States. Clashes between Khomeini's followers and government troops resulted in a bloodbath. The Shah sent him into exile. Khomeini set up shop in next door Iraq. His sermons were smuggled back to Iran on cassette tapes. His popularity soared. But Gary Sick says the United States didn't take the religious opposition seriously at the time..
Sick: "Now we know that was not very smart. That in fact religion was starting to have a very important role. But it was really the Iranian revolution that taught us that. That's where we learned about Islamism, that's where we learned about Islamic fundamentalism, that's where we learned about all these things that we didn't know about but our intelligence at that time was certainly not equipped to look there. And so we missed that completely. It was as if it was invisible." On New Year's Eve 1977, President Carter visited Tehran. In retrospect his remarks there show how out of touch he was with popular opinion inside Iran. He lavished praise on the Shah. President Carter: "Iran, because of the great leadership of the Shah, is an island of stability in one of the more troubled areas of the world. This is a great tribute to you, your Majesty, and to your leadership, and to the respect and the admiration and love which your people give to you." Iran was anything but an "island of stability." Within days of Carter's visit, the first of the demonstrations that would culminate in the revolution had begun. A popular movement emerged, with Khomeini at its head. But it was not just Islamists. The protests had widespread appeal. The oil boom was highlighting economic disparities. A newly educated middle class was demanding more say in running the country. And the Shah's repression and excesses were alienating even the elite. If the United States was out of touch, the Shah seemed even more so. He tried to blame the unrest on foreigners. He even pointed the finger at the CIA. Henry Precht, by then head of the Iran desk at the State Department, was horrified. Precht: "Here we were depending on this autocrat to protect American interests in a very key part of the world and it appears that he was some kind of nut! This job was going to be a lot more complex than I thought it would be." During the course of 1978, the demonstrations continued. The Shah declared martial law. Then came Black Friday. On Sept 8th, 1978, crowds gathered to demonstrate in Jaleh Square in downtown Tehran. Government troops opened fire on the protestors. Hundreds of people were killed. Gary Sick says it was the moment of no return. Sick: "It's extremely ugly and it captures the public's imagination the way nothing had before. I think that's the point when it turned into a revolution." Sick: "You couldn't even raise the possibility of an alternative. Partly because it would be seen as defeatism, you would be in effect pushing the Shah over the cliff if you like. And secondly because nobody had an answer to that next question, that okay if you're so smart and the Shah isn't going to make it what do you suggest? There wasn't any answer to that question. We had made no preparation. There was no plan B." The demonstrations continued to build. Millions of people at a time were turning out onto the streets. The Shah asked Saddam Hussein to expel Khomeini from Iraq. Saddam obliged him. The Ayatollah made his way to France. His followers kept up the pressure. They called for independence from the United States, they called for an Islamic government, they called for an end to the monarchy. On January 16th, 1979, the Shah announced he was leaving Iran. He said he was going on vacation. But Iranian people reacted as if it was the end of his reign. Bakhash: "There was initially a great explosion of celebration and joy." Shaul Bakhash worked as a journalist in Tehran at the time. Bakhash: "I was on one of the main streets of Tehran and not only did I suddenly see these newspapers with the huge headlines "the Shah is gone" but there was an explosion, a cacophony of car horns and celebrations and people dancing in the streets." Shah of Iran: "I am dedicated to my country because this is the most beautiful thing that could happen. What could I take away with me when I go in the grave. Not even a dress. Maybe just a piece of white cloth that's all. So I am philosophical enough to know these things. And I have enough for the earthly needs. So what I have got to take with me into the grave is history." Just before he left the Shah appointed a new prime minister from the opposition. Shapour Bakthiar was supposed to form a government of reform. But the move did nothing to placate the masses. Iranians continued their mass protests. And they focused on Khomeini's return. In France, the cleric granted interviews. He talked about his plans for an Islamic republic. Khomeini advisor Ibrahim Yazdi often interpreted the Ayatollah's remarks for the Western press. Yazdi: "The kind of government we have in our mind is the type that basically was established at the early time of Islam and the time of the Imam Ali may peace be upon him at that time there was no fear no frightening issues everyone was secure under those society." On February 1st, 1979, two weeks after the Shah's departure, Khomeini made a triumphant return to Iran. The BBC's John Simpson was on the plane that carried him back from Paris. Simpson: "It must have been two or three million it was an enormous a huge a fantastic crowd it wasn't just a political event it was a sort of messianic event people really felt something extraordinary was about to happen and you know life itself was going to change." 10 days later, in a final burst of chaotic street fighting, the last vestiges of the previous regime were swept away. The landscape changed overnight according to Shaul Bakhash. Bakhash: "We went to bed one night in Tehran and woke up the next morning and there were revolutionary committees carrying guns everywhere. Revolutionaries were in control of the military barracks, of ministries, of radio and television. So although the buildup to the revolutionary moment took an entire year when it came it was very sudden and very quick." The US foreign policy establishment was stunned. US officials were simply blindsided by Iran's upheaval. Scholars look back on the episode as a massive intelligence failure. Gary Sick doesn't think the United States could have stopped the Iranian revolution. But the consequences of America's single-minded obsession with the Shah were considerable. Sick: "There was no doubt in anybody's mind that the fall of the Shah and the replacement of his closely allied government with a government that was unremittingly hostile to the United States and all it stood for was a strategic disaster of major proportions. Our whole security structure in the region had been built around Iran and particularly around the Shah and that was gone."